In the fall of 2007, I acquired a truckload of surplus computer equipment from a major research institution on the east coast. The oldest of these machines were three Honeywell Computer Control Division DDP-116s, built in 1966. The DDP-116 was the first 16-bit minicomputer, introduced shortly after the famous DEC PDP-8, a 12-bit machine generally regarded as the first minicomputer. The DDP-116 was the first model in what became known as the Series 16 after 3C was acquired by Honeywell. These descendents included the DDP-516 and the H-316, known for their role in the Arpanet, the ancestor of today's Internet. The DDP-116s were in service for many years, and at least one of them had been in operation as late as 1999 or 2000. Each machine is composed of four cabinets bolted together. The basic CPU with the minimum complement of memory is only a single cabinet. 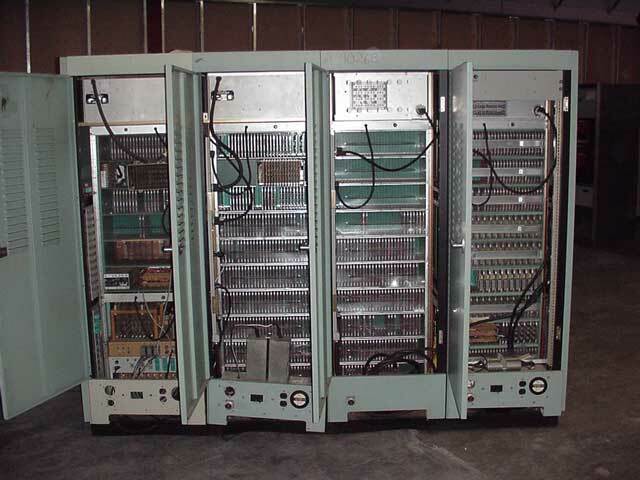 In the system pictured, there are two more cabinets containing memory expansion and CPU options, such as hardware multiply/divide and additional I/O interfaces. 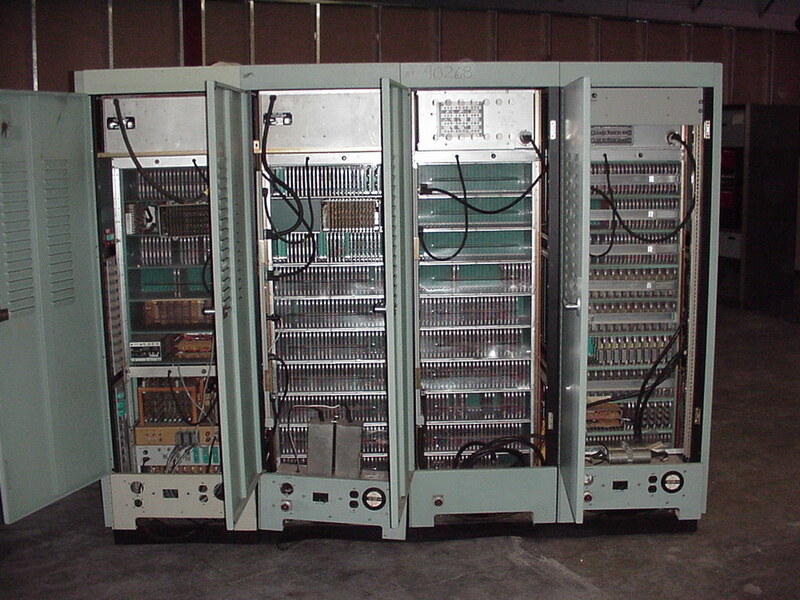 A fourth cabinet contains special equipment peculiar to the instrument control application in which these machines were used. The machine above is the best-looking example of the three. The picture below shows the same machine from the rear, with the doors open to show the internals. Unfortunately, one of the other machines has a few lamps and switches missing from the front panel, and another is missing the front panel entirely. I believe that some parts had been pulled from these machines to keep the first one running, though some of the option slots are more fully populated in them. Fortunately, the machines were accompanied by a large quantity of documentation, and it may be possible to sort out exactly what is present and missing in each. Eventually, I would like to restore one more more of these machines to operation. Unfortunately, local modifications and add-ons over the years have caused the machines to diverge from the manufacturer's documentation. In some cases, it makes sense to undo these and restore the machine to its original state, e.g., connections to specialized interfaces to external equipment no longer present. In others, it may make more sense to reverse-engineer the modification and leave it in place. I have considerable respect for these machines as historical artifacts, and wish to proceed with caution and deliberation. 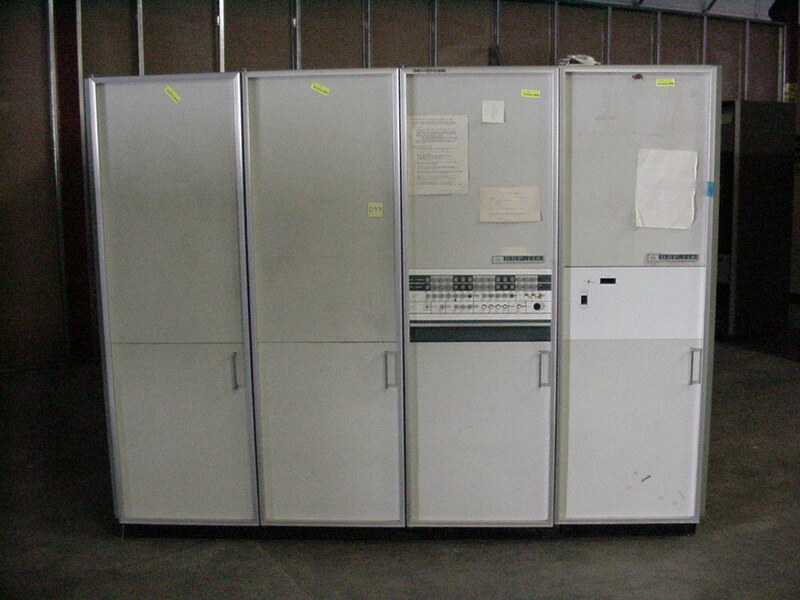 At present, the machines are in secure climate-controlled storage, and can be shown privately to interested vintage computer enthusiasts and researchers by appointment. Please visit the photo gallery to see pictures of the DDP-116s, both inside and out. There were many other machines on the truck besides the DDP-116s, including Modcomp IIs (brochure) (external site), Honeywell H316s (external site), and peripherals, including card readers and tape drives. You can see some of them in the photos of unloading the truck. A partial list of documents I have collected is available. If you have a scholarly interest in these, or are lucky enough to own a DDP-116 yourself, by all means do contact me. I expect to scan all of these documents, or loan them to Al Kossow for his Bitsavers archive. At present, the full text of the DDP-116 Programmers Reference Card be found in the gallery. I know of only two other surviving instances of the DDP-116. One of them is in the collection of the Computer History Museum. The other came to my attention very recently when it was sold by its former owner. That machine is now in the collection of the Time-Line Computer Archive. If you have more information on these machines, or have used them in the past and have stories to tell, I'd like to hear from you.